A TabHost widget is a good way to display multiple sets of information in one screen. By tapping on the tabs at the top of the screen, the bottom of the screen changes to reflect information in each tab. 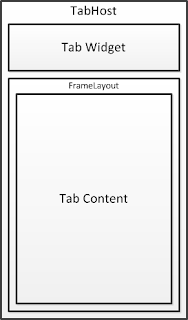 This tutorial will explain the components used in tabbed screens as well as example xml and java code. 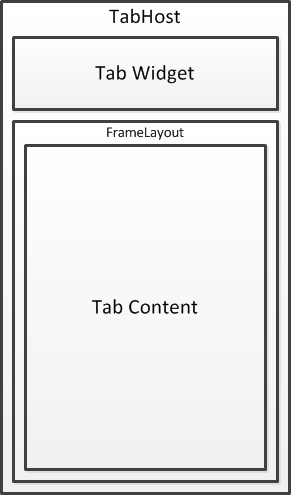 A tab activity consists of three major components within the layout. Click File>New>Android Project. In the Project Name: field enter TabHost Widget Project. Select the latest API level you are comfortable with (API 10 for me). In the Package Name: field enter com.androgue.tabhostwidget. In the Create Activity: field enter main(no caps) for the initial activity. Click finish. You need to modify your AndroidManifest file to reflect the new java classes you will be adding to the project. Add the following code to your AndroidManifest.xml. Your main.xml file is going to establish what you see on the screen. Add the following code to your main.xml file. The main java file is going to create each tab and actuate it when the user tabs a tab. Add the following code to your Main.java file. Each of your Tab java files creates the content for each of your tabs. This can be test, images or subactivities. Add the following code to each of the java files. Your app is now complete. Start your favorite emulator and run the app. This tab host application is not working in my 2.1 platform. "Application has stopped unexpectedly.please try again,the only choice is force close"
is there any way that i can create dynamically? eg: i have an application where i need to show details of each Node in each Tab. No. of tabs is depends on no. of Nodes which varies. But before creating TabActivity i will come to know how many Nodes are there.